On Labour Day, May 1, we headed out brimming with anticipation of the fun activities ahead. We had racked our brains so hard when we were planning what to do two days earlier. And we came up with a few suggestions but they were either too last-minute, no vacancy left or too time-consuming. Our criteria were that the activities had to be in an air-conditioned area, not crowded and fun. She suggested knitting classes, baking and cooking while I thought a one-day hotel getaway would be fun. We could enjoy the clean amenities, sleep and feast our day away in a cool environment. But she wasn’t too keen on it. 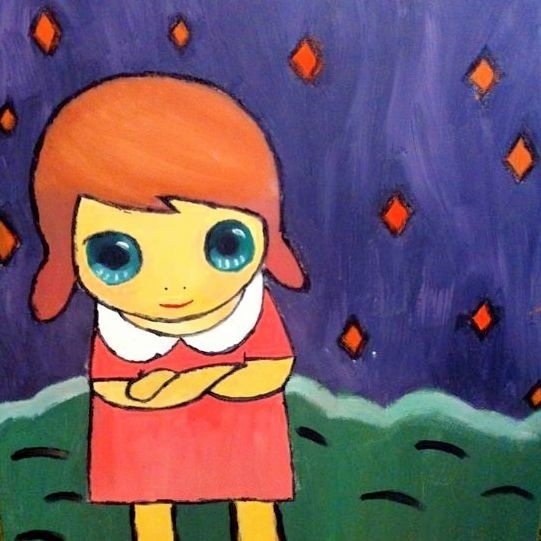 Then I hit upon a brainwave: we could go painting, have lunch and play games at a cafe, followed by dinner. And so here’s the result of our labour after three hours of intense concentration. 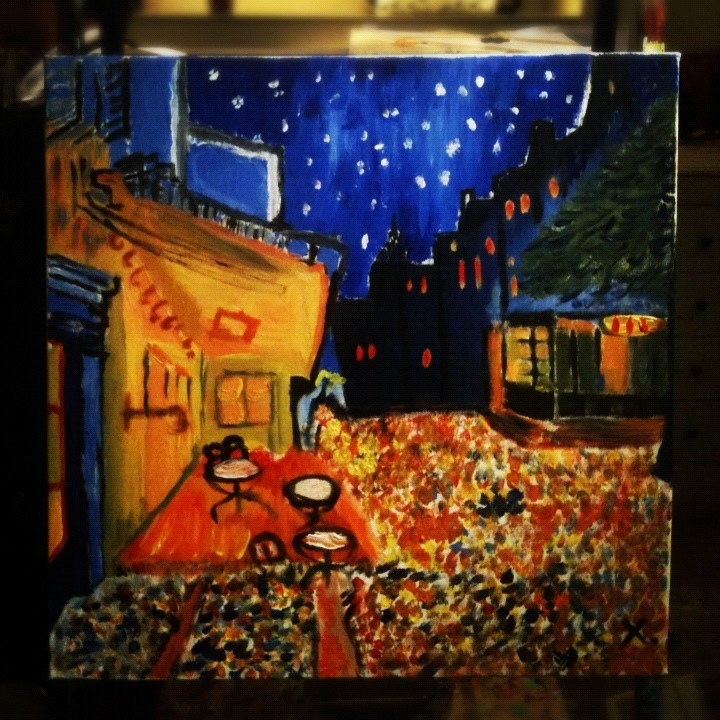 I painted Uncle Vincent’s Cafe Terrace at Night (pictured above) while she painted a popular Japanese character (below). And they are damn good replicas of the real pieces if I may say so myself. Ha! While she said my painting was too abstract for her liking, I thought it’d look really great on the wall of my future house. Heh. Best of all, she has this secretive and almost cheeky smile that makes her look so adorable that I wanted to grab her face IRL and give her Boon Tiong kisses all over. You tell me, how to resist a face like that?